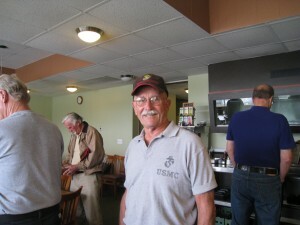 On Saturday June 13, 2009, Michael and Jean-Marie were the guest speakers and signed books at a luncheon for the First Marine Division Association, Redwood Empire Chapter at 11:30 a.m. at the Boulevard Cafe, 1096 Petaluma Boulevard North in Petaluma, CA. 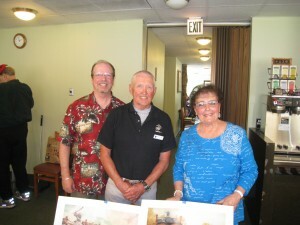 Michael and Jean-Marie with Wallace Stewart, President of the First Marine Division Association, Redwood Empire Chapter . It was a pleasure to speak to the veterans of the First Marine Division Association, Redwood Empire Chapter.